Slice pepper and mushrooms. Chop onions coarsely. Sauté the vegetables in butter and oil. When almost cooked, add shrimp and cook until the shrimp is pink. 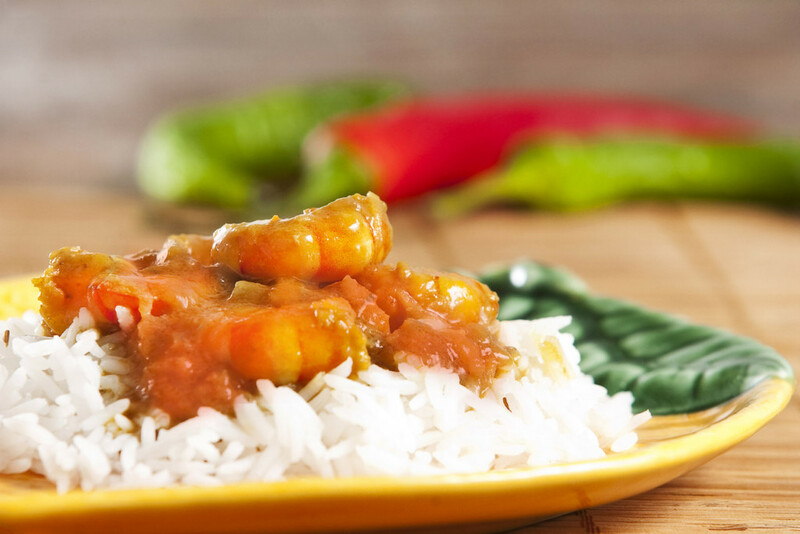 Remove vegetables and shrimp to a bowl, then toss with your favorite Wing It® sauce. Serve over a bed of white rice. Alternative idea: try this on the barbecue with skewers!